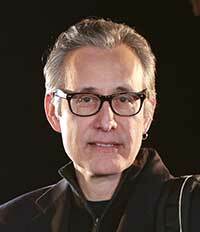 J.Ed Araiza is the head of the UCLA School of Theater, Film and Television’s M.F.A. Acting Program. He has a long and varied history working on multicultural, cross-disciplinary projects as a writer, director and performer. Araiza holds a B.A. in theater from Texas A&I University in Kingsville, Texas and studied journalism at San Antonio College. Early in his career, Araiza was a member of El Teatro de La Esperanza Company and worked at both the Los Angeles Actors Theatre and the Los Angeles Theatre Center. Araiza is a principal actor and original member of the SITI Company, founded by Tadashi Suzuki and Anne Bogart. SITI Company is one of the most important experimental theater ensembles in the world. He is a proponent of Suzuki and Viewpoints training and for more than 20 years has performed in productions in major national and international venues. These include the Kennedy Center in Washington, D.C.; the Olympic Arts Festival in Atlanta; the Brooklyn Academy of Music; Actors Theatre of Louisville; Los Angeles Theater Center; Minneapolis’ Walker Art Center; Harvard University’s American Repertory Theater; Scotland’s Edinburgh Festival; Germany’s Biennale Bonn festival; Japan’s Toga Festival; Ireland’s Dublin Theatre Festival; and Festival Le Standard Ideal, MC 93 Bobigny, in Paris. As a playwright with seven original full-length plays produced, Araiza is a member of The Dramatist Guild, Austin Script Works and NoPE (No Passport Required). He has directed sections of 365 Days/365 Plays at the New York Public Theatre; Voluspa for the National Theatre of Iceland; Savitri, Dancing in the Forest of Death for the META Theatre Festival in Delhi (nominated for best production and best director) and MEDEAstories, his original adaptation of the Euripides, with an international cast for the SITI Studio Theatre in New York. He has also written One Fine Day and Miss Julia, a powerplay. Araiza has been a guest teacher at many universities including The Julliard School, Yale School of Drama, SUNY Purchase, Cincinnati Conservatory of Music, Columbia University, New York University, Stanford University, National Theater Institute, Harvard University, University of Chicago, Pomona College, Vassar College and the University of Denver. He was artist in residence/guest faculty for three semesters over three years at St. Edward’s University in Austin Texas; and artist-in-residence/Coastal Studies Chair at Bowdoin College in Maine. He was also guest lecturer in acting and performance at Ontario’s University of Windsor. Other international workshops he has led include those at the Singapore International Theatre Festival; South Korea’s Seoul Factory Theatre; the Norwegian Theatre Academy; the Icelandic Academy of the Arts; Festival Iberoamericano in Bogota, Columbia; and, most recently, a month-long residency at TEAK the Finnish Theatre Academy. In Fall 2011, before joining UCLA TFT full time, Araiza served as a guest director in the Department of Theater working with second- and third-year M.F.A. students on a production of The Adding Machine by Elmer Rice.